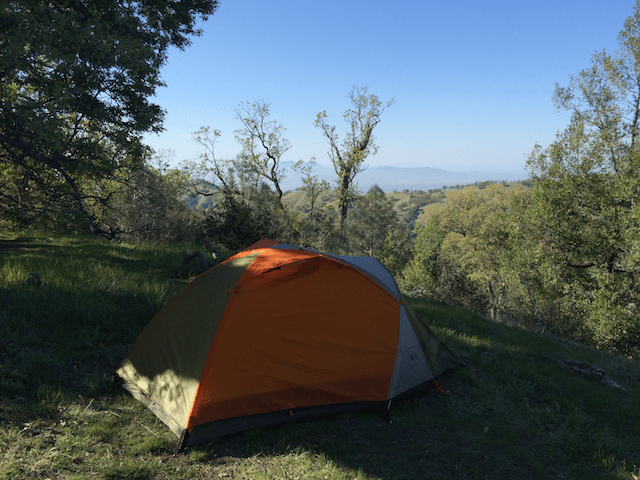 I completed my first thru-hike on the Ohlone Wilderness Trail by accident. I was simply looking for a short, strenuous backpacking trip to train for a slightly longer, slightly more strenuous backpacking expedition through Yosemite. However, with each prideful completion of a thru-hike I only grow bolder. Thru-hiking consists of hiking an entire trail from end to end, one way. When brought up in the hiking community people typically think of the holy grail of thru-hikes that are referred to only as acronyms: the PCT (Pacific Crest Trail), AT (Appalachian Trail) and CDT (Continental Divide Trail). These hikes are known as the triple crown of thru-hikes in North America, extending thousands of miles and taking months to complete. Why hike long distances? Why thru-hike? Well, it transports you to a simple way of life where your job is… just walking. Your days are rhythmic, you feel a meditative focus and gain a greater respect for distance. By the end, the hike really doesn’t seem as long or as hard as you thought it would be and you feel a real sense of accomplishment. For all these reasons, its especially addicting. Interested? Fear not, you don’t need months of time to complete a thru-hike. Better yet, there are a number of respectable trails to complete right here in the SF Bay Area. Where I started, by accident, was the Ohlone Wilderness Trail. I floated the idea of backpacking the Ohlone Wilderness Trail to friends in preparation for our three night backpacking trip to Yosemite in which we wanted to summit Half Dome. As a result I chose a trail that was both long and strenuous to test our strength, skill and endurance while hiking with a pack. Hiking the Ohlone Trail means starting with one of the most strenuous hikes in the Bay, Murietta Falls. These first six miles lead you up 4,000 ft of tiring, steep incline just to take a gander at a trickling or dry waterfall. After Murietta Falls you still have four miles until you reach Maggie’s Half Acre near Rose Peak which at 3,817ft is the second highest peak in the Bay Area. After this first day of hiking 12 miles with 4,500 ft elevation gain and a 40 lb pack I fell asleep before the sun went down in my tent. If the first day was about the strength, the second was about endurance. 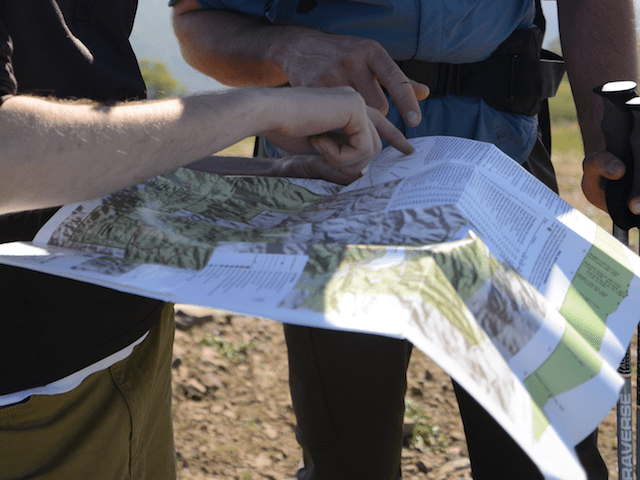 Our 18 mile trek would start at Maggie’s Half Acre and finish at the popular Mission Peak. We woke at dawn and began hiking towards low hanging clouds. From above or below these clouds look flat and static. Like a ceiling or floor, masking the true solid landscape. However, as we descended we found them to be moving, slowly and confidently. The clouds appeared to be bubbling out of the valleys, creeping slowly up or down the hillside. Finally we descended into this moving substance and were enveloped by a foggy, misty world. If you’ve never hiked into clouds like this, its truly a remarkable experience. Its otherworldly to become enveloped by or tower over clouds, an entity that typically occupies a space thousands of feet above your head. 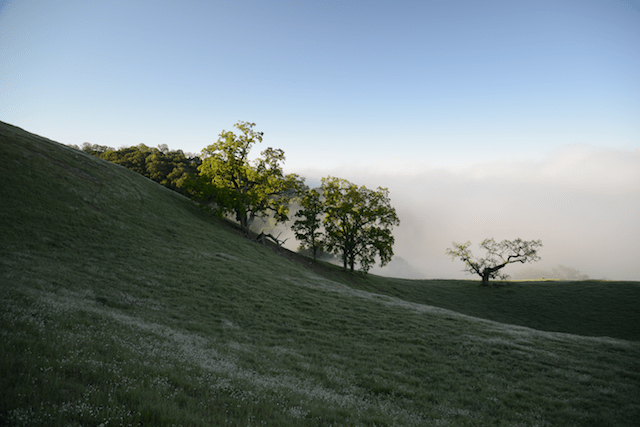 The cloud-world doesn’t last however and it eventually burns off by mid-day just as we entered Sunol. Upon reaching Sunol the day just became a hot, tiring slog the remaining 10 miles as we descend the entirety of Rose Peak only to begin marching up and over Mission Peak to our finish line. However, with focus, camaraderie and tired legs we finished among the masses at the Stanford Ave. trailhead, the end of the Ohlone Wilderness Trail. All in all we hiked 28 miles with 7,000+ ft elevation gain in two days to complete the Ohlone Wilderness Trail in April 2014. Basically we followed this route with a single night camping at Maggie’s Half Acre and according to that post, back country reservations can be competitive. This doesn’t surprise me since I’ve found just about every reservable campsite to be competitive in California. Therefore, to get this reservation I had called to reserve the campsite through East Bay Parks a couple months in advance. In addition to this reservation you will also need to purchase an Ohlone Wilderness Trail Permit for $2 a person which is a steal because it also comes with a map. Luckily it also isn’t an inconvenience because the station that sells them at De Valle opens at 7am. Keep this permit on you because our whole group was checked for their permits a couple miles before Mission Peak by an officer. I think it is the park’s way of knowing who is out on the trail to hike for sport and who is just hiking to their Pot Farm. Two final important logistics that matter: Water and Transportation. Be aware that there is no potable water at Maggie’s Half Acre. We weren’t aware of this so we had to jimmy up a process where we pumped from a faucet into a reservoir which we then pumped through our filtration into our hydration packs. 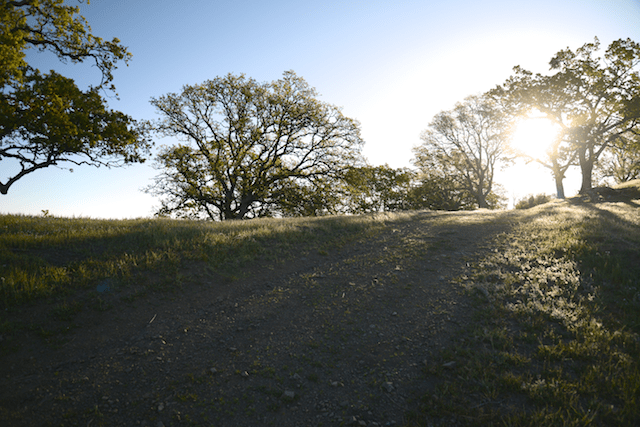 Water is important for this hike because even in April, Sunol was very hot and very exposed. As for transportation, I looked and looked and looked, but couldn’t find any shuttle services or public transportation that would not take 6–8 hours and still require a ride to the trail head. Therefore, we ended up having to leave one car on Stanford Ave. at Mission Peak and another at De Valle. Driving for a couple hours to retrieve a car and then head home isn’t really something I wanted to do after hiking 28 miles, but it was the only option I found. My advice to anyone else excited to thru-hike this trail is to leave a car at Mission Peak and convince a friend to day hike with you to Murietta Falls so you have a ride out to De Valle. In my next post I’ll talk about the second thru-hike I’ve done. As I’ve found out, while the name Skyline to Sea is well known in the Bay Area there are many conflicting reports on the actual milage in completing it.